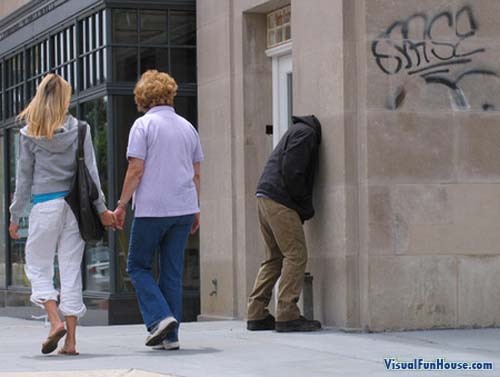 Hollow Man On The Street Optical Illusion was a form of art created by Jerkins in Washington DC. 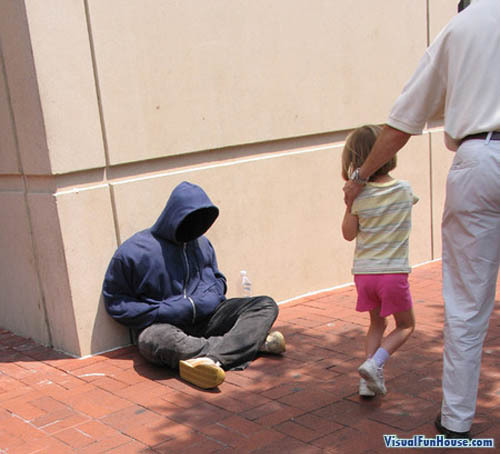 The first one you would almost thing was just a homeless man on the street. But if you take a close look, he has no hands or a hollow face outline of this grim figure. The second hollow man just isn’t having a good day, he is either headless or he put his head right through that concrete wall. They are some pretty crazy artwork, the first one you probably wouldn’t think to much of but the second would defiantly make you take a second take.